Jean Harlow ! Spencer Tracy ! William Powell ! Myrna Loy ! 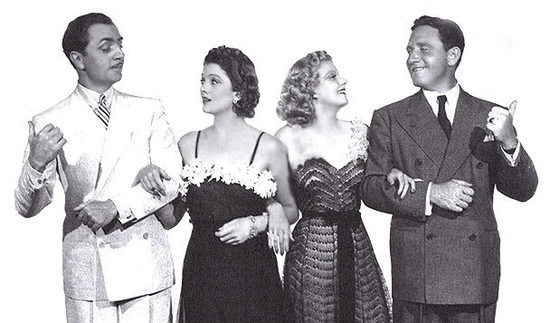 Four top stars at the top of their game shining bright in LIBELED LADY, a screwball comedy directed by Jack Conway with that trademark MGM gloss. 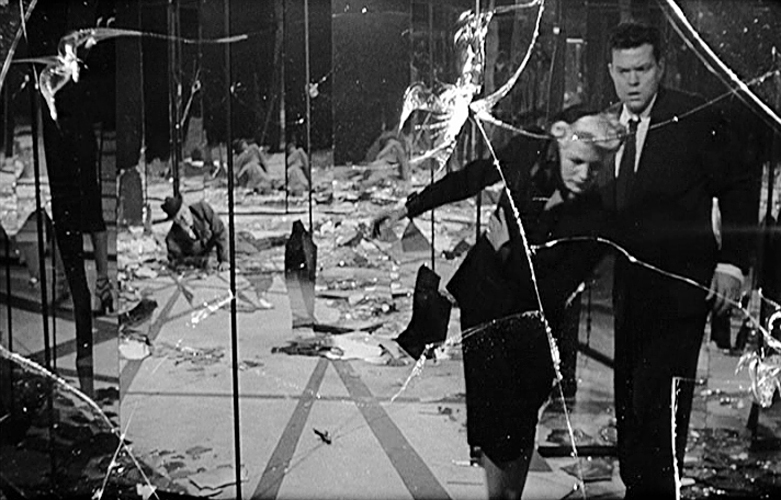 Despite the zany improbability of the script by Maurine Watkins, Howard Emmett Rogers, and George Oppenheimer, the crackling, witty dialog gives all four stars (and supporting actor Walter Connolly) plenty of good material. Here’s the plot: rich heiress Connie Allenbury (Loy) is suing the New York Evening Star for printing a story about her being a husband stealer. Her price: five million! Editor Warren Haggerty (Tracy), after once again blowing off his nuptials to long-time flame Gladys Benton (Harlow), recruits ex-reporter and frenemy Bill Chandler (Powell) in a crazy scheme involving marrying him off to Gladys (and is she pissed! ), hop an ocean liner to London, and return with Connie, using his “charms” to set her up on an alienation of affections rap. Bill angles his way in with the Allenburys by pretending to be a fishing expert (even though he’s no outdoorsman) and getting in Dad Allenbury’s (Connolly) good graces. Things go haywire from there as Bill and Connie fall for each other for real, then Gladys falls for Bill for real, and Warren tries to straighten the whole mess out without losing his newspaper! Powell and Loy were riding high at the time due to the success of THE THIN MAN, and MGM wanted to keep them in the spotlight. 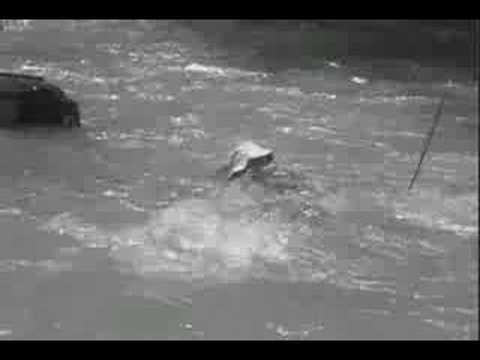 The pair are always a joy to watch working together, and seeing the dandy Powell try to master trout fishing is a comic highlight. Powell also works well with Harlow, whom he was dating at the time, and she’s great in her role as the pawn in boyfriend Tracy’s plan. Tracy gets to show off his comedy chops too, and more than holds his own. 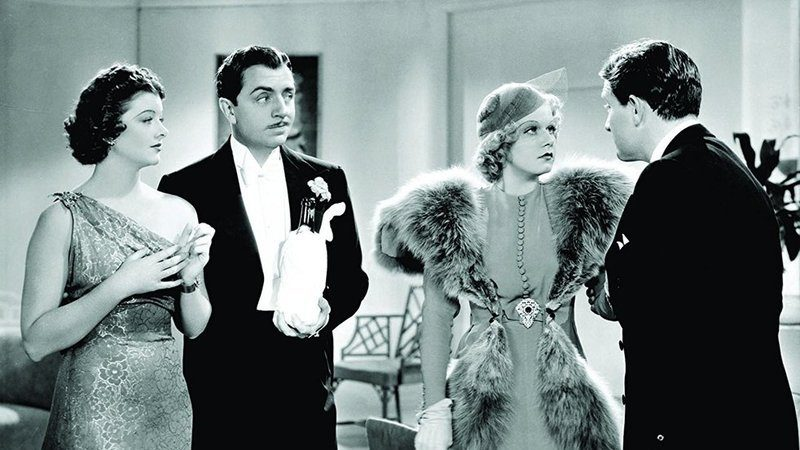 A great bit comes when Tracy, after learning Powell and Loy have gotten hitched, tells them Harlow is wife #1, to which Jean replies “That’s arson!”. Director Conway was a jack-of-all-genres, making everything from comedies to drama to actioners to Tarzan flicks with equal aplomb. Among his many credits are THE UNHOLY THREE , RED HEADED WOMAN, VIVA VILLA!, A TALE OF TWO CITIES, BOOM TOWN, THE HUCKSTERS, and DESIRE ME. Familiar Faces abound, including Billy Benedict (as Tracy’s office boy), E.E. Clive, George Chandler, Charley Grapewin, Selmer Jackson, Hattie McDaniel, and Cora Witherspoon. 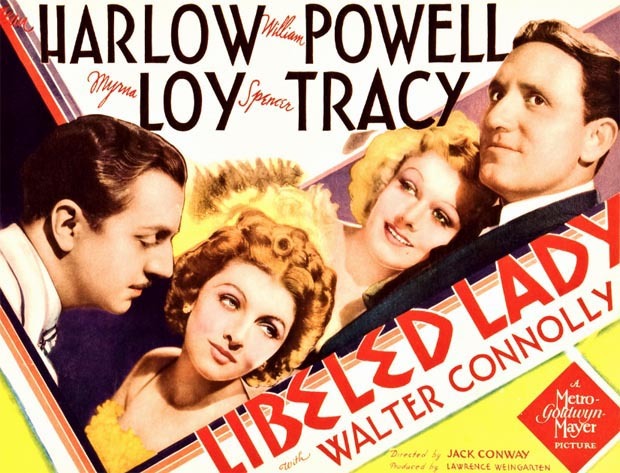 LIBELED LADY was nominated for the Best Picture Oscar, but lost to another Powell/Loy vehicle, THE GREAT ZIEGFELD. It’s fast and funny and the kind of movie they don’t make anymore, but should. Then again, who could possibly fill the shoes of Jean Harlow, Spencer Tracy, William Powell, and Myrna Loy?